Ok, enough nonsense xD. 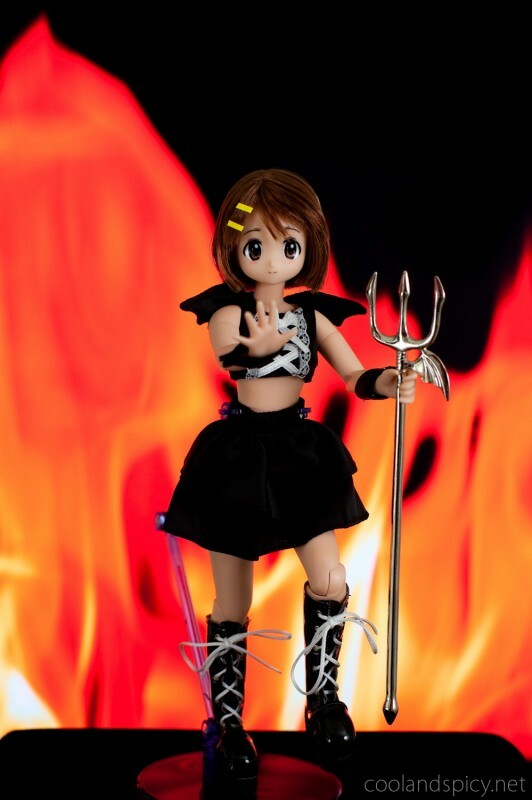 Yui’s outfit came from three individual pieces: The dress (top, skirt, cuffs), the knee high leather boots, and the silver trident. Each was sold separately but were obviously meant to go together ^^. 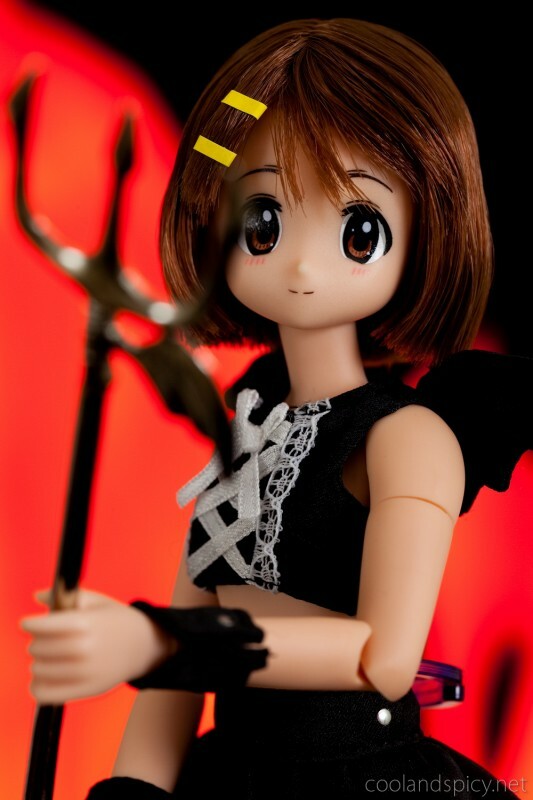 Yui’s outfit by Azone was purchased at Hobby Search. The total price for all three pieces was about 4700 yen. A bit pricey but the outcome is amazing! You can find the items here: Dress, boots, and trident. Is it possible to change hair of these small Azone figures? Hair? I don’t think so, at least not on this head type. The hair isn’t a wig, it’s sort of implanted in the vinyl head through small holes. However, you can buy lots of different heads with lots of different hair colors/styles that come with blank faces that you can paint/customize. .-= Smithy´s last post… So-Ra-No-Wo-To 8 =-. It doesn’t necessarily have to fit with a character’s personality from the original source. It’s basically cosplaying/role playing ^^. 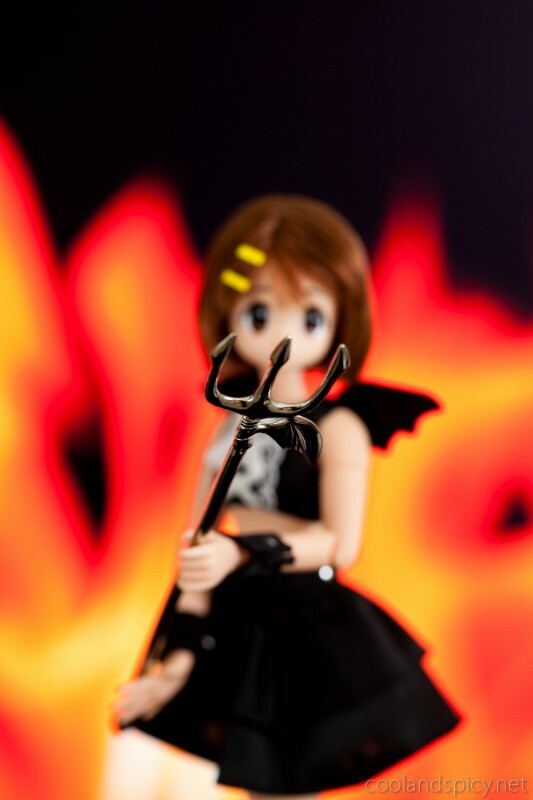 .-= bluedrakon´s last post… Photo Shoot: Evangelion EX Sweet Witches Figure feat. Okama A: Rei Ayanami =-. She has some light blush lines beneath her eyes. They’re part of her default make-up (I didn’t add them ^^). .-= Xine´s last post… Nendoroid Megurine Luka and Tako Luka =-. Yeah. Now if only the entire K-ON squad followed suit for my death metal fantasies. And who wouldn’t want to go to hell when the gate guard looks like that? Awesome backdrop too. You’ve gotta somehow do this one next. Bah. 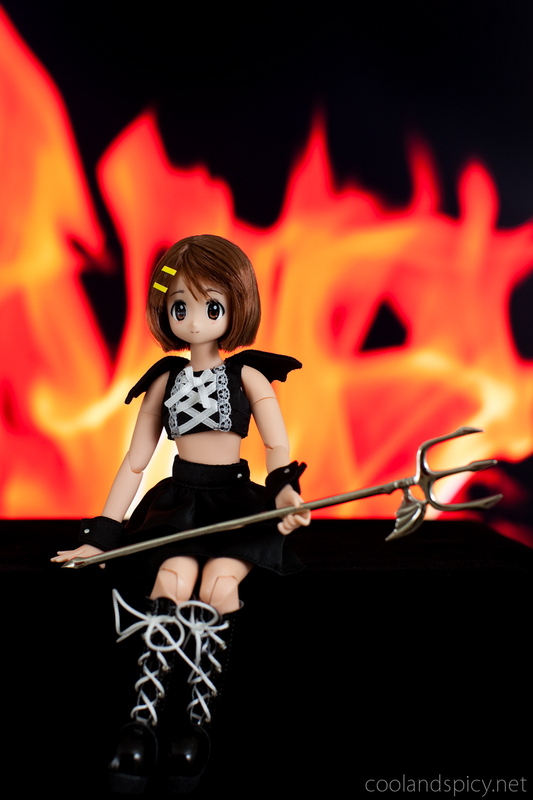 Yui is too incompetent to guard hell. She’d probably get lost and end up burning herself anyway. .-= Snark´s last post… Holy hell it’s been ages =-. 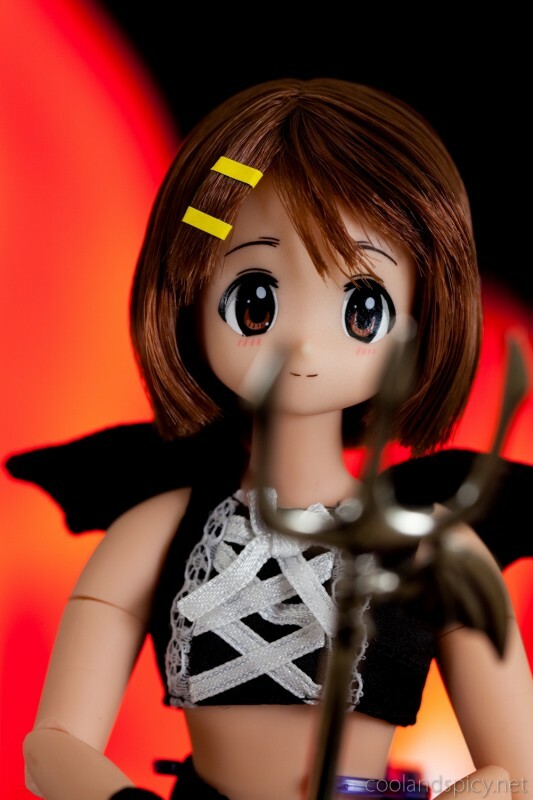 .-= lovelyduckie´s last post… Lucky Star x Macross Frontier Cosplay Figure Set =-. Hey, by the way, it seems your blog doesn’t like my comments >_< Two of the 3 comments I've posted have gone into the abyss. Are you running any special spam mods? Devils can be cute too! Oh looks like the Azone stuff is actually pretty nice.I thought it would be some dirt cheap stuff.